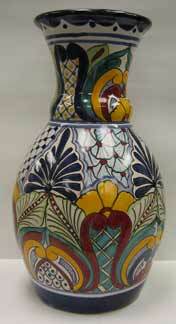 Talavera was introduced to Mexico by Spanish artisans of the Colonial period. 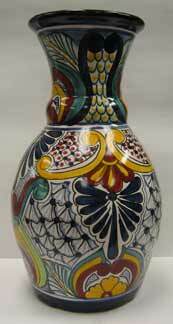 Mexican Talavera draws its name from the XVI century Spanish pottery center, Talavera de la Reina. 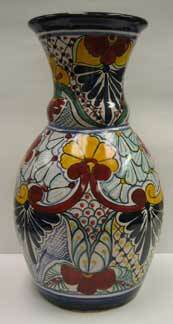 In the late XVI century the arrival of the Spanish people brought the Spanish and Arabic influences to Mexican pottery. 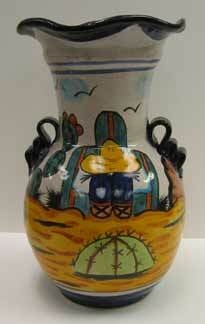 Mexican pottery dates back to the Olmec culture of 1500 BC-800AD pre-Mesoamerica. The primitive techniques used through history are still used today by the people of Puebla and Dolores Hidalgo. 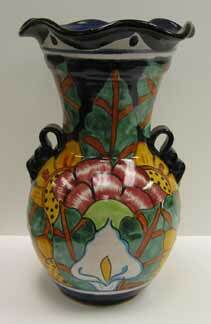 Talavera pottery is handcrafted from a combination of three types of clay, which provide three shades of color. 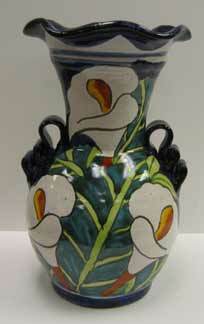 The clay is kneaded by hand or foot, shaped and dried. The pieces are then fired at an extreme heat. Once they cool, they are submerged in glaze, which brings their color to life. Patterns are then drawn and painted on the pieces. 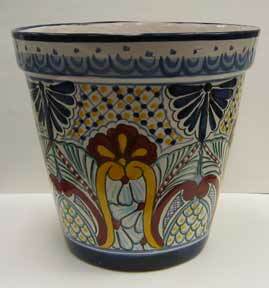 With an additional firing, the Talavera work of art is complete.